When it comes to learning, one of the most important things you can do for your children is helping them learn to read. 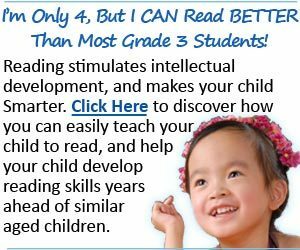 It is no exaggeration to say that how well children learn to read affects directly not only how successful they are in school but how well they do throughout their lives. Helping your children learn to read is easy and can be done by using everyday routines and activities found around the home. Reading provides your children with the key to open doors and without it many are left behind. Infancy to 1 Year Old – Infants learn a lot from what they see and hear from their parents. Babies love the sound of your voice and when you answer their coos and gurgles with sounds of your own they begin to learn that what they say is important to you. Hearing you talk is your child’s first step toward becoming a reader, because it helps them love language and learn words. Infants are a lot of fun and you can help them learn by talking, touching and smiling at them often. It is never too soon to begin reading to your children. Read to them for short periods of time; at the park, throughout the day, and at bed time. Get books that are durable and allow your child to touch and hold them. As you read, point out things in the pictures while naming them. Ages 2 to 6 – As your child grows you will want to continue to talk with him. Talking helps develop language skills builds bonds between parent and child. Sharing the alphabet with your child helps them to recognize the shapes and sounds of letters. Reading books with words or actions that appear over and over help your child to predict or tell what happens next, “predictable” books. Don’t overlook picture books. Picture books allow you and your child to use your imaginations to make up your own stories to go with the pictures. Reading books with rhyming words helps children pay attention to sounds in words. Reading and writing support each other. The more your child does of each, the better he will be at both.